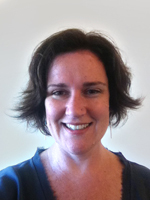 Dr. Carla Walton is Senior Clinical Psychologist at the Centre for Psychotherapy, a specialist service for Borderline Personality Disorder and Eating Disorders within Hunter New England Mental Health Service in Australia. She has been involved in treatment provision to persons with Borderline Personality Disorder using DBT, in both public and private sectors in Australia for the past 15 years. Carla is the principal investigator on a large-scale randomized clinical trial of DBT and a psychodynamic therapy, the Conversational Model. She is a member of Marsha Linehan’s annual DBT Strategic Planning Meeting at the University of Washington. She has provided training and consultation in Borderline Personality Disorder and Dialectical Behaviour Therapy throughout public and private sector services throughout Australia. Her main research interests lie in the fields of Borderline Personality Disorder and translational research.